The association Nala 85480 (simply Nala) has been in existence now for more than 7 years and the problem of euthanasia of unwanted dogs and cats has been a continuous thread throughout our work for most of that time. In fact that is how it all started. Nala was created because a stray dog (called Elmo, right) was found and put in the animal pound of a small village in the Vendée. The mayor had asked the vet to euthanize it because he didn't know what to do with it, as he didn't have a contract with an association to take it on board and have it adopted. Fortunately the vet was not very keen on this idea of euthanizing a young, friendly dog that had his whole life ahead of him. Knowing that we love animals, the vet's assistent phoned us. We were prepared to help and take on the dog. The mayor agreed to release the dog, however under one condition: that we started an association. It surprised us that the decision of life or death was taken so lightly so we started to investigate this issue more thoroughly. We contacted the legal departments of the major animal associations in France to ask them whether they thought that euthanasia out of convenience was legal. They almost all replied that this was common practice and allowed if animals, no matter their age or condition, were not adopted and there was no space in the pound or refuge to keep them any longer. So in May 2011 we started a petition in which we asked that the issue of euthanasia of cats and dogs in the pounds and refuges should not be taken so lightly, that at least the law should be respected and that the decision of euthanasias should be made on the basis of a written decision made by an official veterinarian. The petition got more than 5.000 signatures, and was sent to the Minister of Agriculture. More letters followed with the support of other associations in the Vendée, which resulted, to our pleasant surprise, in an invitation for a meeting in Paris with the research department for the protection of animals of the Ministry of Agriculture. The meeting went very well and some of our proposals were taken on board. One of them was the collection of statistics, because without accurate figures it's not possible to evaluate the extent of a problem. 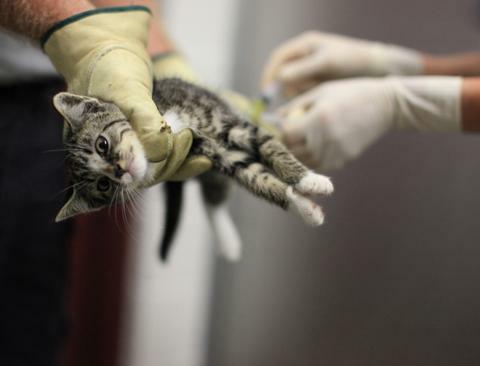 Especially the number of euthanized cats was and remains very worrying. Since our meeting in Paris the Ministry has included some statistics in their yearly inspections during the holiday season, the period when most animals are abandoned and so a peak time for pounds and refuges to help these animals. As you can imagine the results were alarming. In 2015 more than 45 % of cats were euthanised in pounds and 17 % in the refuges, for dogs the percentage was around 6,5 % euthanised in pounds and 11 % in refuges. The figures for the French islands was even worse: 87,5 % of cats were euthanised in the pounds and 84 % in the refuges, 76,5 % of dogs were euthanised in pounds and 74 % in the refuges. Last year (2016) again the ministry included the euthanasia statistics of dogs and cats in the inspection reports. We sent the ministry a letter just recently asking for some details of their figures. We believe that different pounds have been investigated. So the figures are less alarming though still too high. In metropolitan France 36 % of cats are killed in the pounds, and 11 % in refuges, 7,3 % of dogs were killed in pounds and 6 % in refuges. On the islands almost 91 % of the cats were killed in pounds, and 16 % in refuges, more than 66 % of the dogs were killed in the pounds and 10 % in the refuges. We are now glad that we put this issue under the attention of the Ministry. However we feel that the seriousness of the issue is not or hardly taken on board. The problem is taken too lightly, even by the local authorities. We found out for exemple that in an inspection report of a large animal pound here in the Vendée, the authorities noticed that there was no reason given for a certain number of cats that had been euthanized: they concluded that it was a question of a "minor non-conformity", as if giving death to an animal is inconsequential. We question this classification and suggest that it should, on the contrary, be considered a case of "major non-conformity". Euthanasia is not a trivial act to be taken lightly. Le conseil pour les affaires animales aux Pays-Bas (Raad voor Dierenaangelegenheden (RDA) ) conseille d'obtenir la stérilisation obligatoire de tous les chats! Many major associations and foundations in France are dealing with the problem of overpopulation by offering funds to towns and associations to help them sterilise feral cats. During summertime the major associations organise information campaigns telling people not to abandon their pet during the holiday season. Other associations concentrate on animal smuggling from the East and irresponsible petbreeders. The uncontrolable breeding of kittens and puppies by pet owners is undoubtably one major cause of the problem. A new law, with stricter rules, applicable to dog and cat owners who would like to sell or give away their animals came into force in the beginning of 2017. It is to be seen whether these rules are respected, as they are very difficult to enforce and still many kittens are given away for free without proper identification via the social media and internet sites. So we have to wait and see in the long run what will happen. We believe that the results until now are inadequate and it all goes far too slowly. Talking about numbers and statistics is easy. 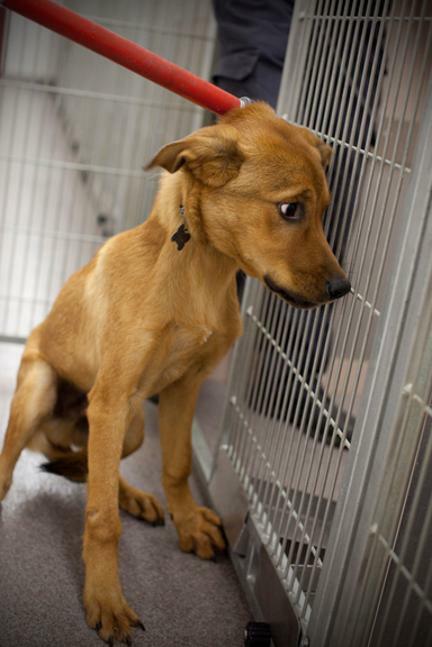 But behind every euthanasia hides an animal, a pet, that wants to live. It is a difference between life or death for these animals. We are surprised that a strong and effective lobby towards the authorities from the major animal associations in France to fight this problem, does not exist. If we're wrong about this, please let us know. So, small though we may be, we will continue to keep this issue high on the political agenda and to keep pressure on the authorities and the large associations, pushing them towards the only viable solution which is the obligatory sterilization of cats and dogs in France.